In today’s episode, I interview Kirsty Farrugia. Kirsty shares her two birth experiences with us. She had her first child through the Public system at the Mercy Birth Centre in Melbourne. She had Oliver with the support of her doula and husband. 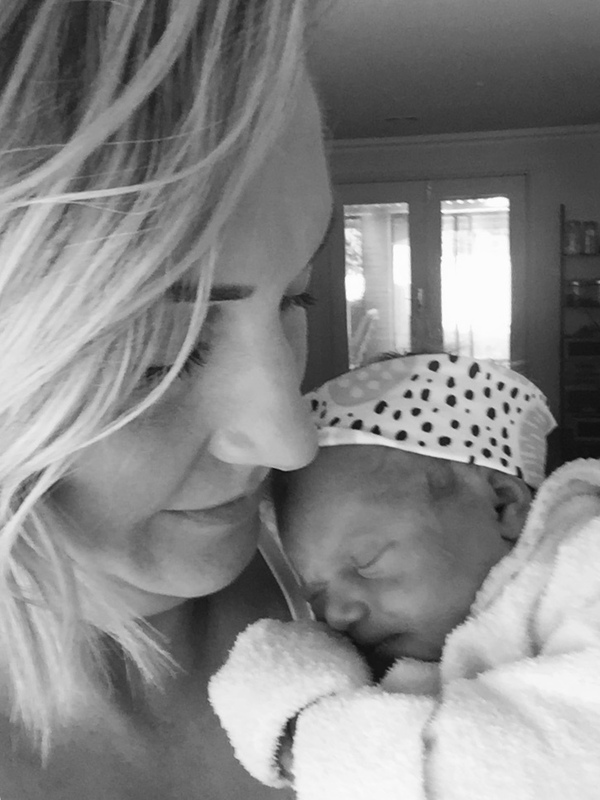 Kirsty then had her second child in Sydney through a Private Hospital with an Obstetrician. To hear more tune into this week's show. Urban Baby Discover beautiful essentials, innovative parenting solutions, hand selected gifts and designer furniture at UrbanBaby. With brands such as Wee Gallery, IVI Rugs, Comotomo, Olababy and Oeuf furniture you will be sure to find all your baby needs at UrbanBaby. Find UrbanBaby at www.urbanbaby.com.au or check out their amazing Instagram feed @urbanbabyshop for plenty of baby related inspo. UrbanBaby is offering 10% off with code AUSBIRTH08 (excluding Oeuf and gift vouchers). Valid until 2 September 2018. Topics covered: Induction, waters breaking, epidural, afterbirth pains, acupuncture, engorged breasts, acupuncture. Today’s episode is sponsored by Pip and Lenny. Pip and Lenny is a small online boutique created by two Australian mums, midwives and friends, who both found it difficult to source thoughtful and practical clothing for their young children. After falling in love with handmade products and vintage styling, Bec and Justine created Pip and Lenny with a dream to stock all the brands they love and adore in the one place. In this week’s episode, I interview Caitlin Langford about her four pregnancies and births. Caitlin fell pregnant shortly after losing her mother. She and her husband had decided to wait to try and conceive as Caitlin was grieving and they had planned an overseas trip. Shortly after running a marathon, Caitlin found that she was struggling to recover and felt lethargic and as if she was coming down with something. To her complete surprise, she was intact 7 weeks pregnant. To hear Caitlins pregnancy and birth stories tune into this weeks show. Today’s episode is sponsored by GROW Super. The best time to sort out your superannuation is before kids come along. Super doesn’t have to be a headache and GROW understands this. That’s why GROW lets you consolidate online, with zero paperwork, in under two minutes. They’ll even find your lost super for you. Australian Red Cross For more information, or to register to donate blood, please visit www.donateblood.com.au, or call 13 14 95. In today’s episode I interview Sarah Bell Burch who shares three pregnancies and vaginal deliveries. Sarah was 25 when she fell pregnant with her first son Remi. After living overseas for several years she had come home to settle in Australia in her husband’s home town of Cootamundra. Sarah woke at 830am on the morning of her due date with a contraction and labour unfolded from there. 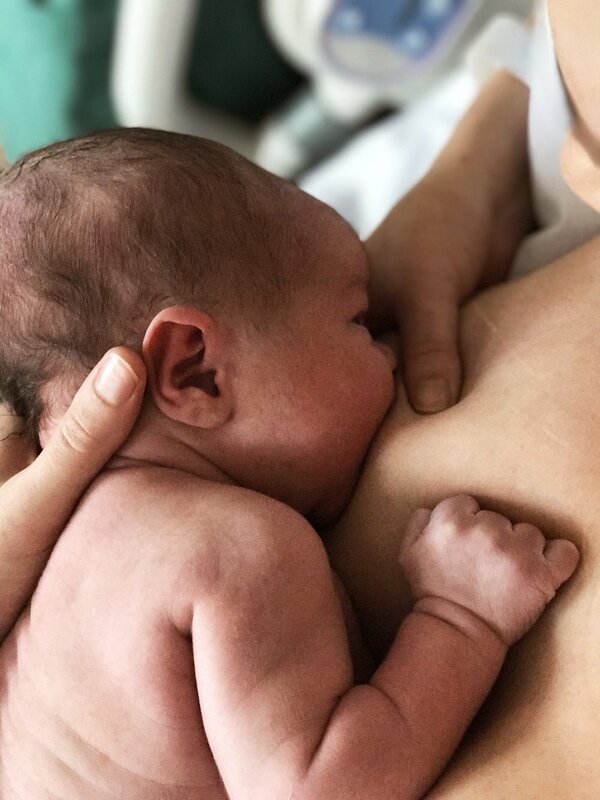 In this episode Sarah shares having a retained placenta in two of her births, mastitis the challenges of breastfeeding and toddler weaning, and the joy of having her little boy Remi present for his sister's birth. In this week’s episode, Felicity Cook shares her challenging pregnancy with her little girl Tilly. One year prior to trying to conceive Felicity saw her gynaecologist and kinesiologist to make sure her hormones and cycles were balanced. Her husband also had his sperm count checked. They then fell pregnant very easily in her second month of trying. On the recommendation of a close friend, Felicity booked in with a private obstetrician at the Mater Hospital in Sydney. Felicity suffered from a lot of physical pain during her pregnancy. From 20 weeks her pelvis became quite unstable. To hear more about Felicity's journey tune into this weeks show. Today's episode is brought to you by Bree Downes Birth Support & Photography. Bree is a Melbourne based doula and birth photographer. Having worked as a doula for 10 years Bree supports women to have the births they envisage for themselves by providing emotional, physical and informational support throughout their pregnancy and birth. In today’s episode, I interview Gemma who takes us through her struggles with unexplained infertility. Gemma was able to conceive her daughter Raffaella with the help of one round of intrauterine insemination (IUI). Gemma was surprised to find that shortly after she conceived Raffa she began to feel unexpectedly depressed. To hear Gemma share her struggles with antenatal depression and the way Raffa’s birth unfolded tune into this weeks episode. I just want to thank the new Patreon members who have signed up to help support the making of the show: Amy Small, Jessica Cassidy, Courtney Thornton, Emma Egleman, Adrian McDonnell and Leoni. If you’d like to become a member head over to patreon.com/australianbirthstories. In this week’s episode, I interview Teresa Palmer. Teresa and Mark tried for about 5 months to conceive and were unsuccessful. Teresa then found out that she ovulates later in her cycle that she had thought. With this knowledge in hand, she was able to fall pregnant the following month. Teresa felt her pregnancy with Bodhi Rain was pretty uneventful. She had wanted to be a mother her whole life and so to be pregnant was the most exciting thing she had ever navigated. She loved every moment of it. She felt very well with minimal pregnancy symptoms. She found out her baby’s gender at her 11-week scan. She had planned to have a home birth in America. 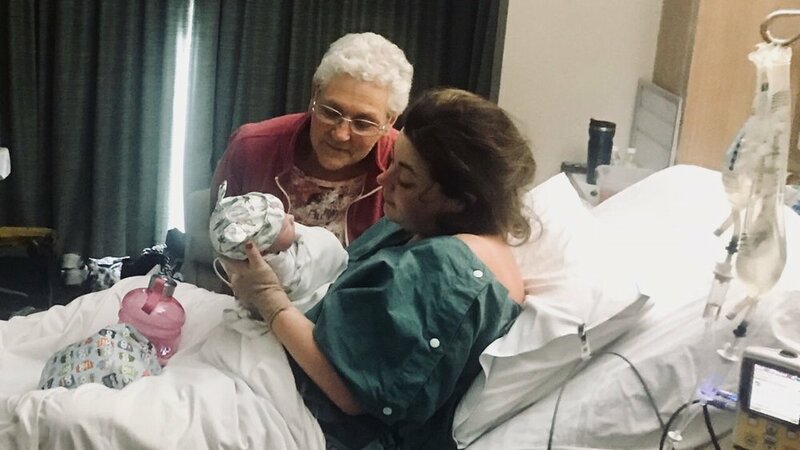 She had witnessed a home birth of one of her best friends when she was 11 weeks and she ended up hiring the same midwife she had seen navigate a very challenging birth. She read all of Ina May Gaskin’s books and watched her documentary. Teresa and Mark got married when she was 6 weeks pregnant. At 36 weeks she started a hypnobirthing course. At 38+6 Teresa’s waters broke while she was in bed and they began to get really excited and called their midwife. The midwife said to rest and come in the morning. She went in at 11 am and it was confirmed that her waters had infant broken. To hear more about Bodhi’s birth and Forrest’s tune into this weeks show. In this week’s episode, I interview Bonnie. Bonnie suffered terribly with morning sickness and then antenatal depression throughout her pregnancy. Living in the UK at the time with her husband, Bonnie had planned for them to return to Australia when she found out she was pregnant. 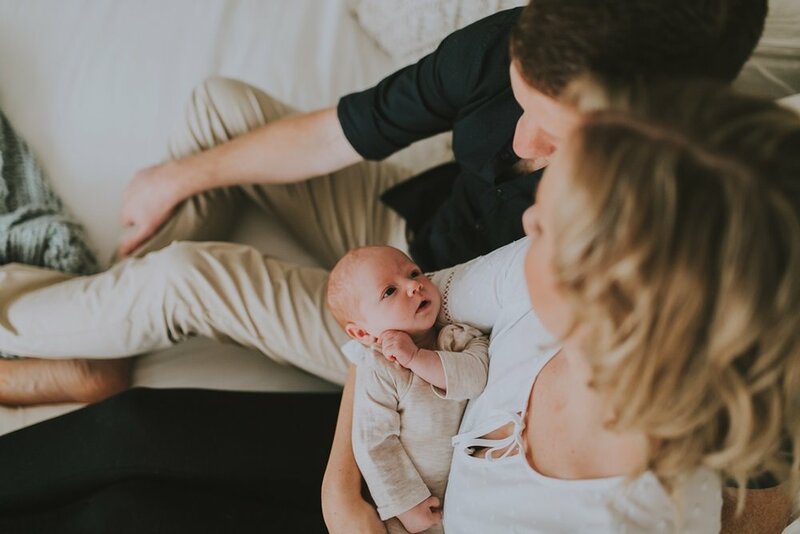 Bonnie shares very openly about suicidal thoughts and regularly discussed with her husband her feelings that she couldn’t be a mother and that he would need to raise the baby himself after the baby was born. To hear more about Bonnie’s very difficult pregnancy and how she connected with some very supportive staff through St John of God Hospital in Perth, tune into this weeks episode. This week’s show is brought to you by Mrs Heemskerk’s cookbook Food For The Ones I Love. To check out Food for the ones I love head over to http://www.mrsheemskerk.com at just $39.95 this book is a must-have. Topics covered: Symphysis Pubis Dysfunction, antenatal depression, migration, morning sickness, arrhythmia, exercise in pregnancy, psychologist, induction, postnatal anxiety. In this weeks episode, I interview mother, Doula and Birth Photographer Lacey Barratt. 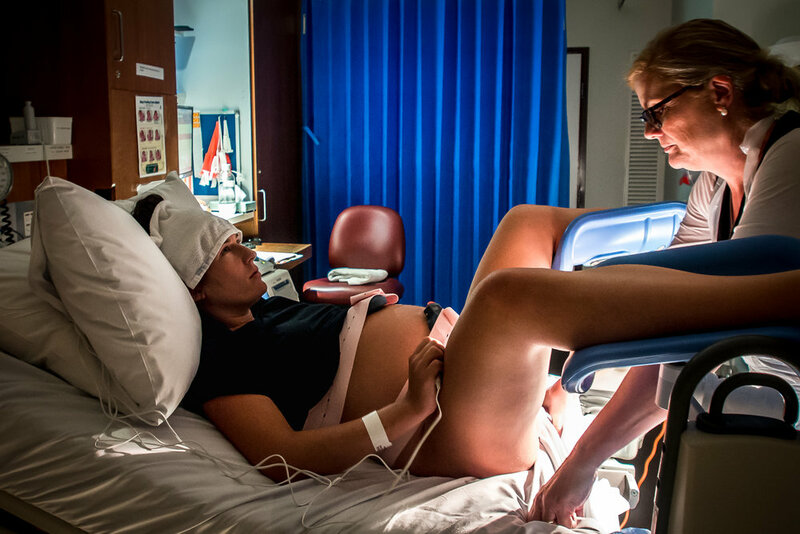 Lacey fell pregnant quite unexpectedly at the age of 22 whilst backpacking in Darwin. Lacey describes herself as feeling violently ill and was throwing up multiple times a day throughout her first pregnancy. Lacey connected with her local GP and she delivered through the birth center in Darwin. Lacey was unsure of what was deemed ‘normal’ for morning sickness however she was concerned about her weight and she felt very run down and dehydrated. Lacey delivered her first baby at 41 and a half weeks after days of prodromal labour with a posterior baby. There is a just 15mths difference in age between Lacey’s first and second children so it came as quite a surprise when she fell pregnant again. To hear how Lacey went on to have a home birth and private midwifery care in her subsequent births tune into this week's show. Chekoh is offering Australian Birth Stories listeners 15% off their purchase with the code AUSBIRTH. You've carried baby close for 9 months - why stop now? Carry on carrying with Chekoh into the fourth trimester. Kristie had been on the pill for 10 years and thought it might take her a little while to conceive. She came off the pill in December and fell pregnant quite quickly. Kristie is a very active gym goer and she found going to the gym each morning really helped with her early morning sickness. Kristie was keen to have a natural delivery and she booked into her local Family Birth Center which was associated with King Edward Hospital. Kristie undertook the She Births birth course online to help her prepare for her pregnancy and delivery. She did the course in conjunction with the Family Birth Center. Kirstie is a Type A personality and felt confident to take the She Births course as it has been proven to reduce rates of Caesarean Section and birth intervention. At 32 weeks Kristie discovered that her baby was a frank breech presentation, bottom first instead of head first. 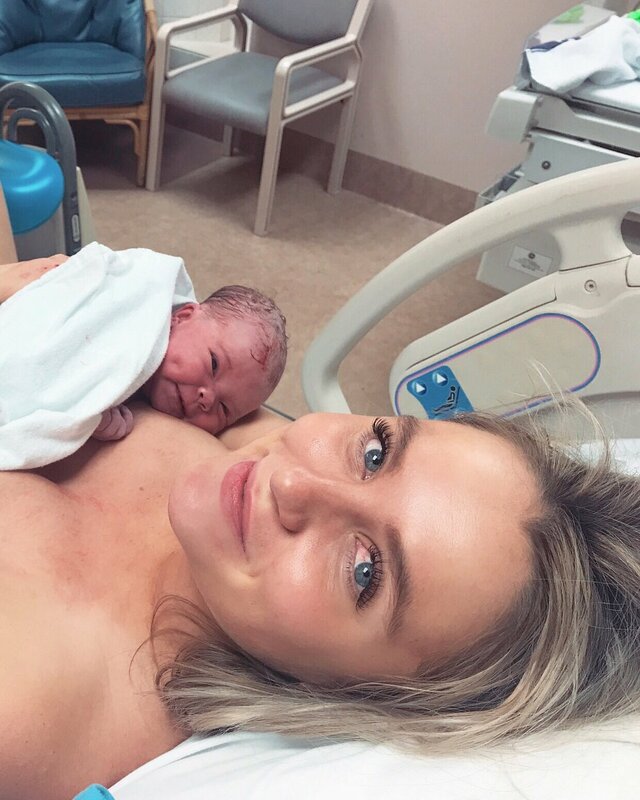 Kristie was still very keen to avoid a caesarean section and looked into the possibility of a natural vaginal breech delivery. To hear more about Kristie’s breech delivery tune into this weeks show. Topics covered: She Births, Hip Dysplasia, Breech birth, private midwife, King Edward Hospital, Family Birth Center, active pregnancy, prolapse, second-degree tear, acupuncture, ECV. In this week’s episode, I interview Kirsty Chandler. Kirsty fell pregnant in her second month of actively trying to conceive. She spent the lead up preparing her body by cutting out alcohol and caffeine and saw a variety of healthcare providers such as acupuncturists and chiropractors to prepare her body for pregnancy. Kirsty was very careful in searching for the right care provider for her pregnancy and birth. 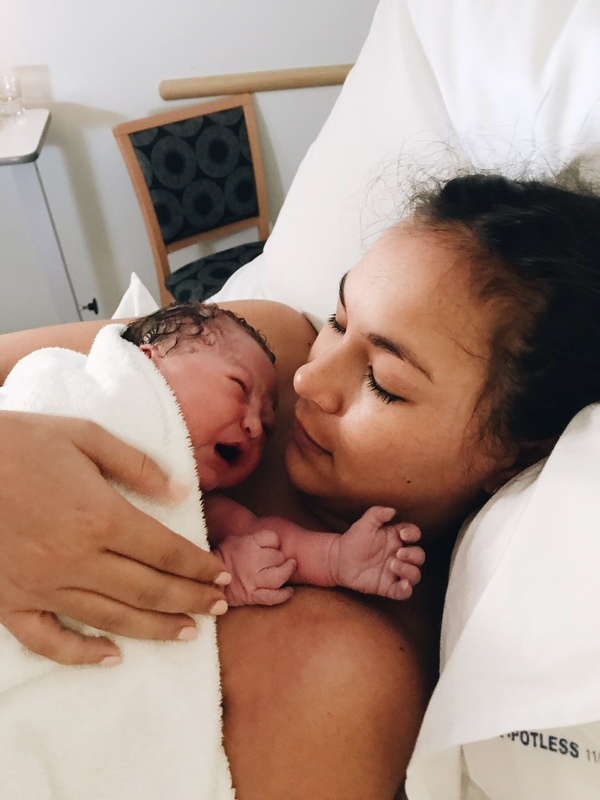 She interviewed both the midwives at her local Gold Coast hospital as well as the private midwives which worked a short distance from her house. She decided to employ a private midwife for her care. Kirsty also took Hypnobithing classes to prepare for the drug-free water birth she intended to have. Kirsty laboured at home and spent much of her time on the toilet where her waters went. Her private midwife came to her house to monitor her and see how labour was progressing and she advised she had time to make the journey to the hospital to get into the birth pool there. Kirsty was very well prepared for her labor. She wore an eye mask and had her hypnobirthing Australia track- rainbow relaxation playing in her earphones as she made the journey to the hospital. This helped her to block out any external influences and allowed her to stay focused on her breathing. 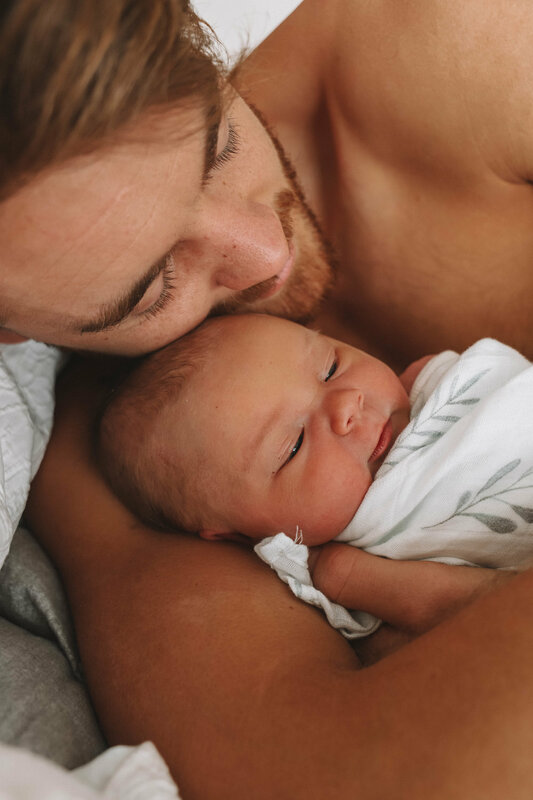 Kirsty’s husband checked her into the hospital and then went to move their car from the emergency bay and almost missed the birth as he got lost finding his way back from the car park. 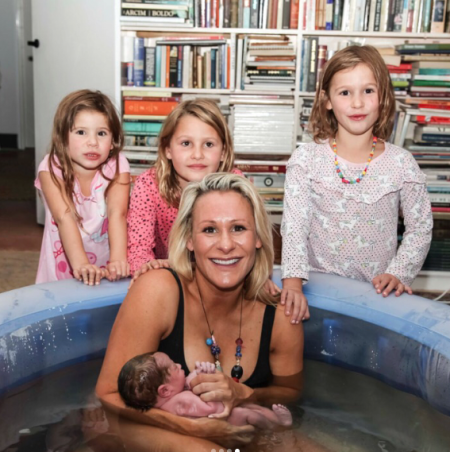 River was born gently into the birth pool with the guiding hands of Kirsty and her partner Guy also in the birth pool. To hear more about this beautiful birth tune into this weeks show. Topics covered: Breast crawl, hypnobirth, homeopathics, private midwife, yoga, meditation, acupuncture, delayed cord clamping, perineal massage, labia graze. Today’s episode of the show is sponsored by Tree Hut Village. Tree Hut Village is the only website in the world where you can hire/lend/buy and sell your baby items from one family to another. Tree Hut Village is essentially like AirBnB for baby equipment. You can: List your baby items for hire. Hire from other parents - short or long term. You can sell baby items, and you can try products before you buy them so you don't have to worry if your baby will sleep in the bassinet or travel cot you want to buy. Tree Hut Village is offering my listeners 10% off with the code THV4ME. To find out more head over to https://www.treehutvillage.com. 58 | Sarah Hocking Legally Blind Two Caesarean Births, Miscarriage, Brain Surgery. In this weeks episode, I interview Sarah Hocking. Sarah first found out she was pregnant when she was in her first year of primary teaching. The pregnancy came as a shock as they were planning their wedding however they soon became really excited. At Sarah’s eight week scan they discovered they had miscarried their baby. Devastated by their loss, Sarah decided to throw herself into her wedding preparation. Nine weeks prior to the wedding Sarah found out she was pregnant. Thrilled to be pregnant Sarah went through the care at the Mercy Hospital in Melbourne. Sarah had had a stroke at the age of 24 which meant she was categorized as high risk during her pregnancy. Sarah was diagnosed as having placenta previa and as she was on blood thinning medication from her stroke, she had to watch out for any bleeding. Due to the placenta’s positioning Sarah was booked in for a caesarean section. 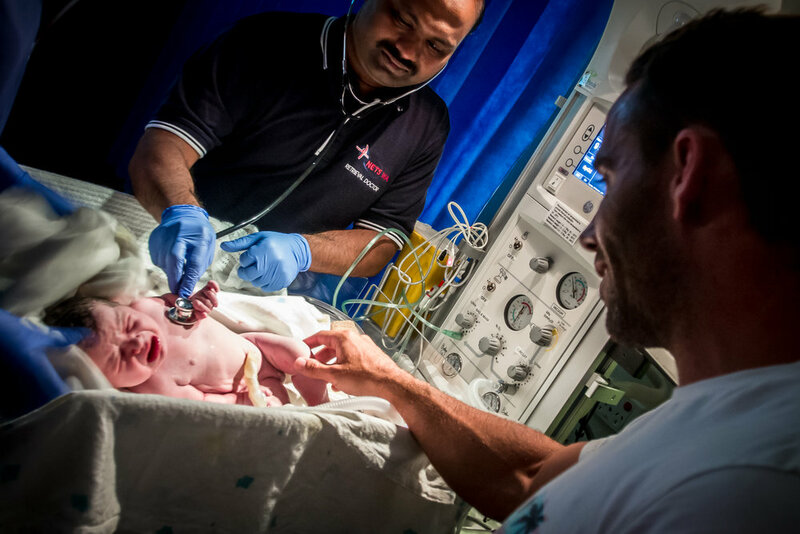 A week before her scheduled Caesarean section Sarah’s vision began to deteriorate and she initially thought it was due to tiredness. She went to see the doctor and she said if it gets worse come back in for more tests. Sarah was watching the news with her husband and she started crying as she couldn't see the faces of the news readers properly. They decided to go to the hospital and they had monitoring and then the doctor came back in and he thought she should have a CAT scan to rule everything out. At this stage, they were just waiting for results and she sent her husband home for some rest. At 3 am she was woken when all the lights in her room came on and a team of doctors came in and said “You’re going to be in for a really rough ride. We’ve found three clots in your brain.” To hear more about Sarah’s journey tune into this weeks episode. Topics covered: stroke, legally blind, clean, brain surgery, downs syndrome, DNC, meningiomas, placenta previa, disability, grief, loss, VBAC.